I’ve recently got back from Spain and I’m missing those wonderful Spanish flavours. 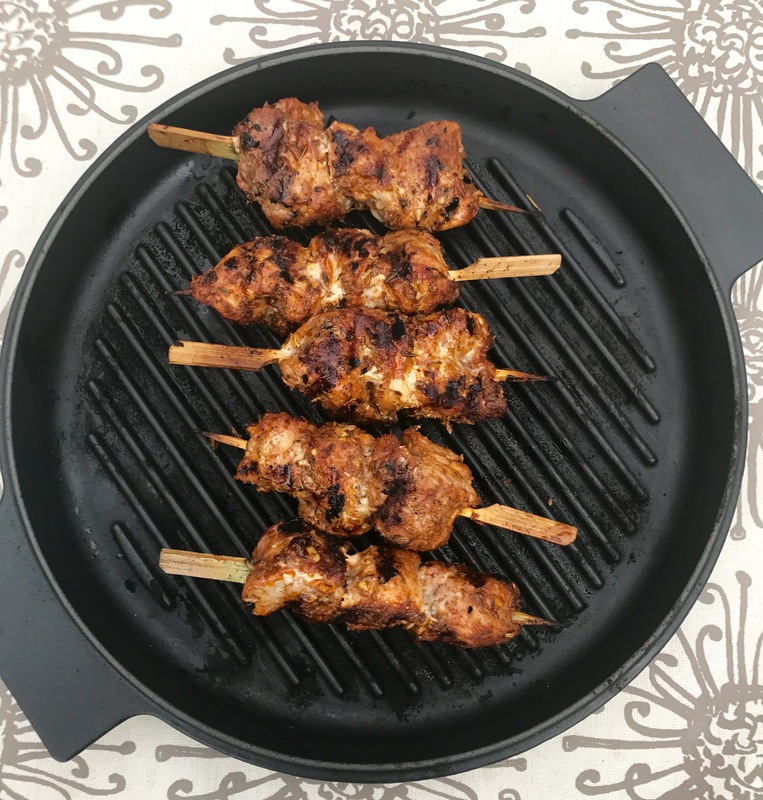 So today I decided to make pork kebabs inspired by the Pinchos Morunos we had for lunch on the beach at Arena bar in Mar de Cristal. 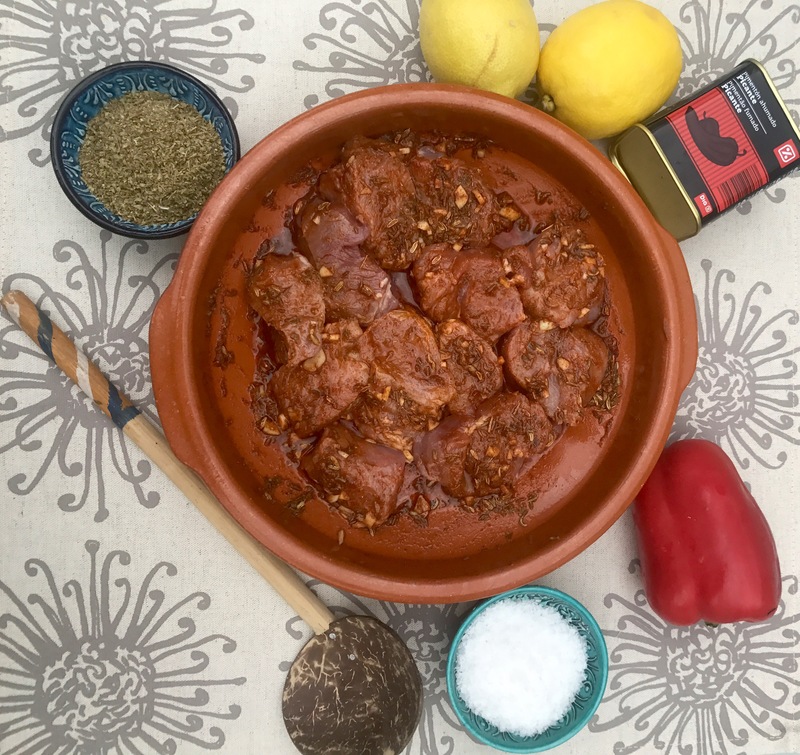 A real simple dish where the beautiful flavours come from the spicy marinade. 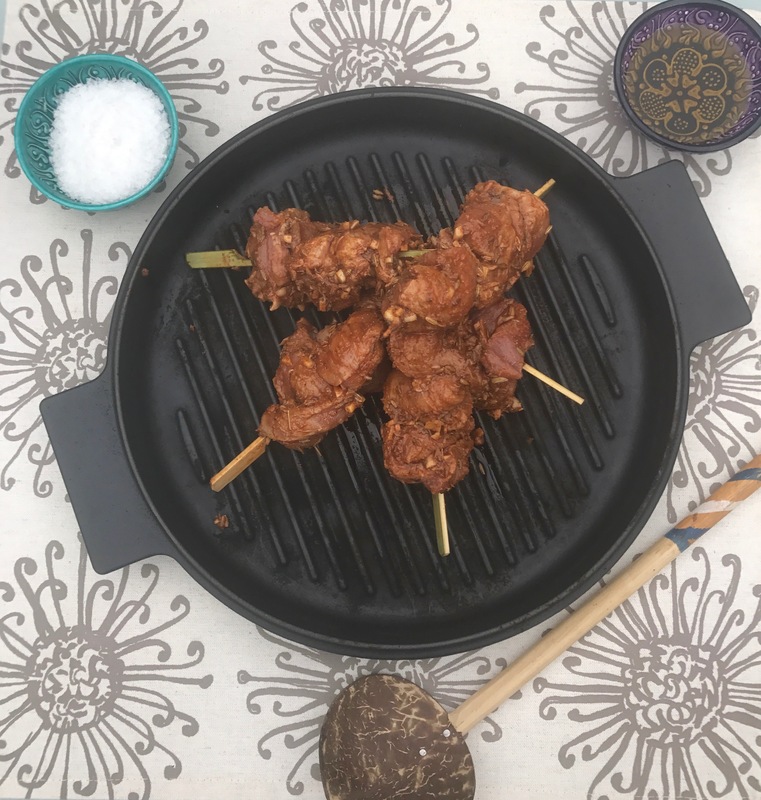 I griddled the kebabs on my Morsø griddle pan, a wonderful way to keep meat moist while also achieving that lovely browned outside. 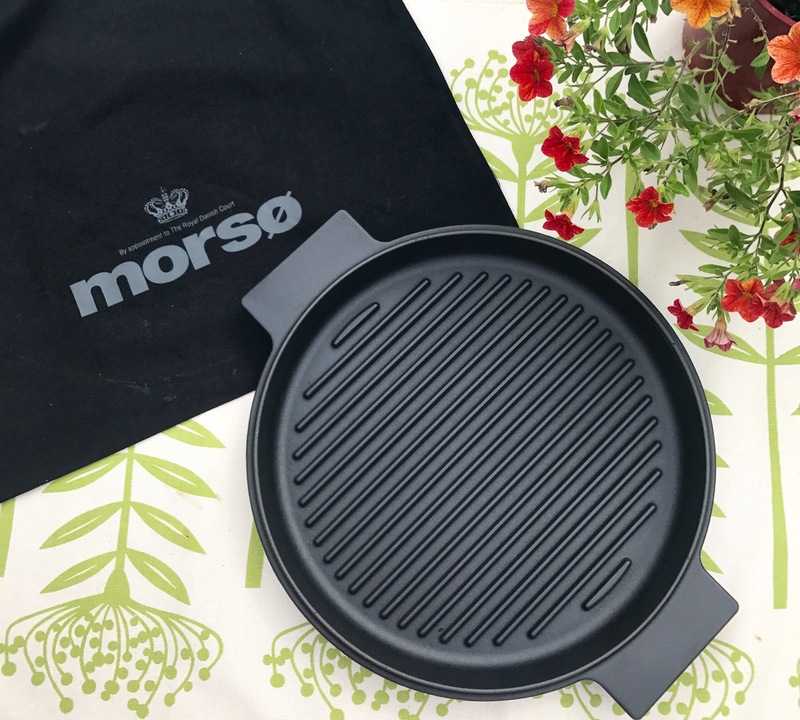 Morsø‘s new Nordic Cookware collection can be used in the oven, on all types of cookers, including induction, on the grill and the barbecue. Check out the whole fantastic Morsø range at morsoe.com. 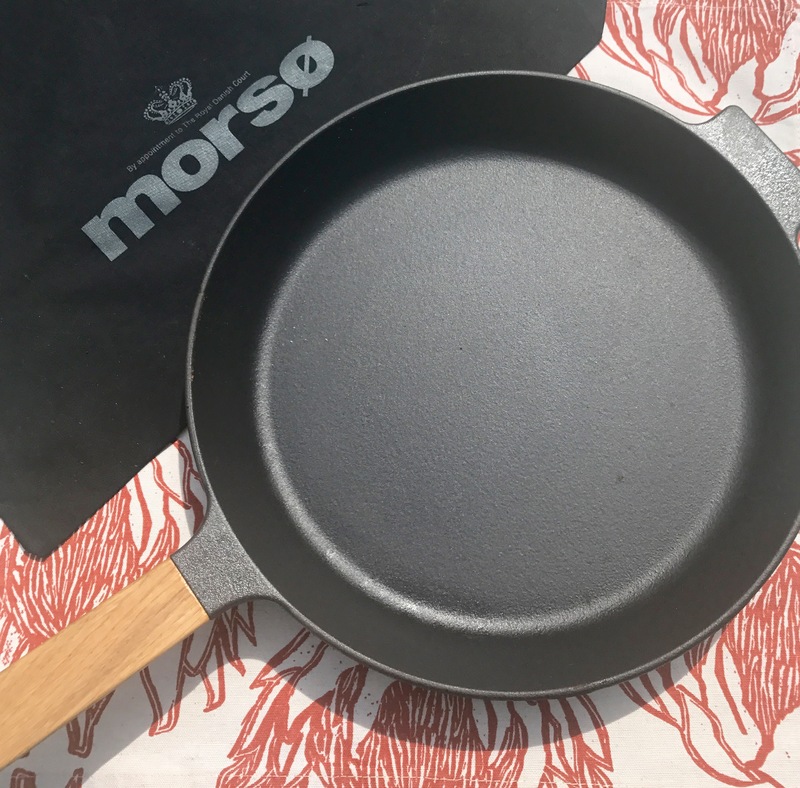 And exclusively for Eating Covent Garden readers there’s a 15% discount if you order cookware on the Morsø website. Simply quote the code nac15 when you order. Mix all the spices and herbs together with the lemon juice and olive oil. Add the pork and mix well together. Marinate for at least three hours, ideally overnight. Thread the pork pieces onto skewers. I used mini bamboo skewers. Griddle over a high heat for about 10 minutes, turning them as they brown. 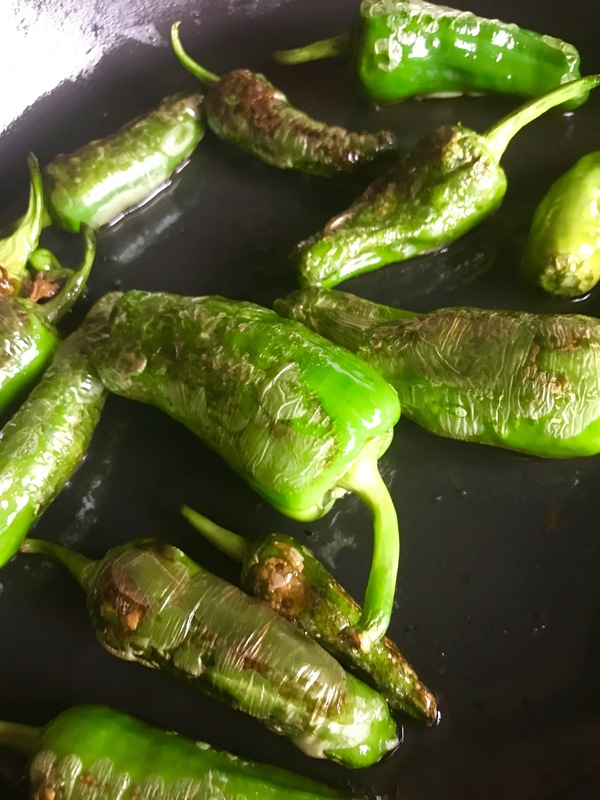 Keeping to my Spanish-inspired theme, I served the kebabs with these little padron peppers which I simply fried up in a couple of tablespoons of olive oil in my new Morsø frying pan. Find out more about Morsø by clicking here.